Visiting a chiropractor after a car accident is necessary. Unfortunately, many people tend to avoid doing so. Why should you see us? Because even if you don’t feel like you’re in pain, your muscles have certainly undergone incredible strain. The seated position exposes the entire spine to a lot of raw pressure which can cause severe spinal and muscular injuries. It is important to understand that muscle injuries and strain to the spine and neck don’t always go away on their own. 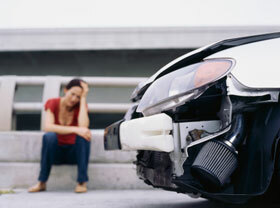 Numbness – A sign of muscle and nerve damage, numbness can occur when you are in a car accident. Loss of feeling or sensation, for even a short time can signify nerve damage or pinching. Tingling – Another sign of nerve damage but also of a herniated disc, tingling sensations in your back and neck area can point to serious problems. If left untreated, it can cause serious problems including causing more damage to your spine. 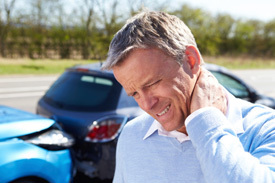 Whiplash – This is one of the most common muscle injuries which occur in a car accident, affecting the soft tissue and muscles in the back, shoulder and neck after undergoing strain unexpectedly. The interesting part is that whiplash can develop a few days after the accident too. Muscle Spasms – In any accident, it is possible to overstretch the muscles as your body reacts to the sudden impact. These overstretched muscles can ache as they go back to normal and some might even require extra care to help them retract with ease. You can also ask yourself the following 9 questions—if you answer ‘yes’ to any, it’s best to schedule an appointment with us. Do you have a headache or stiff neck? Is your head motion restricted? Have you noticed equilibrium problems, ringing in your ears or a loss of hearing? Have you noticed any eye strain or light sensitivity? Are you experiencing a rapid heartbeat or low back symptoms? Have you been experiencing poor memory or felt lightheaded? Have you noticed cold hands or feet? Any unexplained periods of anxiety or depression? What Kind of Care is Best? At our practice, we take a look at your specific injuries to devise the best care plan for your unique needs. From there, we may recommend adjustments to your neck and back, physical therapy, rehabilitation exercise and mobility or strength training to help you regain everyday function. Your care will always be custom to you! Did you know that you must seek treatment within 14 days of your car accident, or risk losing all benefits and lost wages? Whether an accident was your fault or not, there is medical coverage through one’s auto insurance to make sure you are able to obtain the care you deserve. Your first visit will consist of a medical history, an accident history and an exam with any necessary digital X-rays. The exam includes an orthopedic and neurologic evaluation to help narrow down the focus of your deficits so that the appropriate imaging (X-ray/MRI/CT), referrals, advanced diagnostics, and treatment can best be obtained. What Happens If You Don’t Seek Care? Without a visit to a chiropractor, you risk developing more serious injuries over time. When possible, it’s always best to catch an injury early so that it can be corrected and quickly healed. In addition, if you don’t seek care within 14 days of your accident, you may risk losing all medical benefits and lost wages. 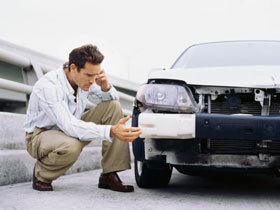 We will work directly with auto insurance companies on your behalf so that you can focus on getting better. Without seeing a physician (any type of doctor) within 14 days, you may lose insurance coverage that you have paid for. PIP benefits may be used to cover losses from an accident. We Can Help Get Your Life Back on Track! If you are searching for the best chiropractors in Melbourne, get in touch with us. Our experts can recommend the perfect routine that will greatly aid in your recovery. Whether you are looking for back pain relief, whiplash relief or neck pain relief, we can easily help you out. For more information about our auto accident treatments and other chiropractic treatments offered by Coastal Chiropractic, get in touch with us by calling on (321) 327-7014.